It’s very easy to prepare your own “hummus”. All you have to do is to blend some chickpeas and “tahini” (sesame seed paste) with some lemon juice, garlic and olive oil in a food processor. This Middle-Eastern dip goes extremely well with crudités and pita bread. 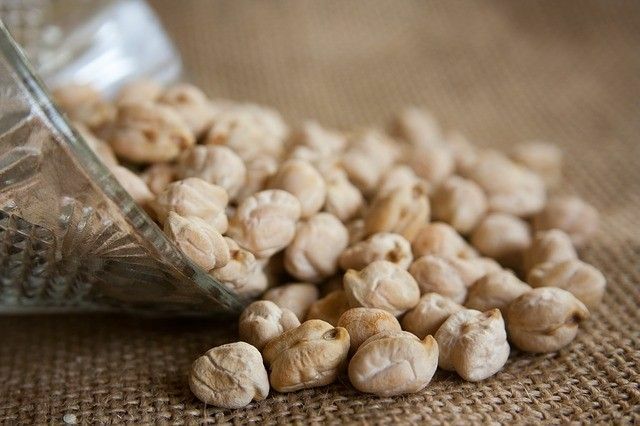 Like all legumes, chickpeas are naturally rich in vegetal proteins, vitamins, minerals and dietary fibres. According to the Canadian Food Guide, one portion of this dip with some crudités and bread is equal to almost 3 portions of fruits and vegetables, to almost 1 portion of cereals and to 1 portion of meats and substitutes. So, there’s no need to turn vegetarian to make the most of its flavour and benefits! Originally published in the Journal de Montréal on July 14, 2007. It sounds fresh, light and yummy, I’ll try for my lunchbox! I usually buy hummus and I’m quite pleased with the taste. But to be honest I kind of like making my own food so that I know exactly what’s in it and it definitely tastes a whole lot better. So thanks for this easy to prepare recipe and I’ll soon give it a try. I tried this recipe today and it’s really good. No more store bought hummus for me. Easy to prepare and much less expensive. Thank you. « Watch out for salt!